We’re at the end of the year, and even though there are handful of movies that could impact this list, including releases from the beginning of the year (Colossal, Okja) and films that have yet to come out or have come out more recently (Phantom Thread, Darkest Hour, Lady Bird), I think I have finished watching releases from this year, and I wanted to get this list out as close to the turn of the New Year as I could. When I rated this movie during my review, I used the YouTube screengrab from a Chris Gethard Show video called “One Man’s Trash” which is basically what this movie amounts to. The Room is a famously terrible film, but this film allows some career-best work from both Franco brothers, but also James Franco as a director. This film succinctly tells the story of the making of The Room, but more importantly portrays the strange, real friendship between Greg Sestero and Tommy Wiseau. It’s funny, it’s uncomfortable, and it’s heartbreaking. Considering how easily this film could have been straight up mockery, the fact they are able to balance those three characteristics as well as they do easily make this movie one of the year’s best. This was a huge year for the superhero franchises. From the DCEU releasing Justice League, Marvel giving Thor Ragnarok to a comedic director from New Zealand, and the DCEU finally releasing Wonder Woman, a movie widely considered to be quite good, it was going to be hard for a superhero movie to really break out of the pack. 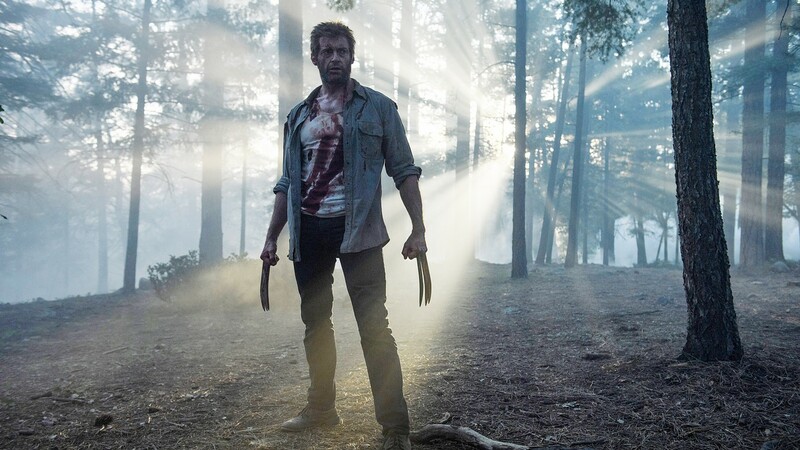 James Mangold’s Logan feels so distant from the X-Men universe that preceded it (which was apparent from the moment this film’s first teaser was released), that part of me doesn’t even really consider this to be a superhero movie. Both Hugh Jackman and Patrick Stewart give incredible final performances as the characters that they have both inhabited for close to twenty years. Dafne Keen gives a memorable performance despite not really getting a lot to do as Laura. After this solo franchise got off to such a bad start with X-Men Origins: Wolverine, for it to go out on such an emotionally brutal note is an excellent surprise. I wish I had written a review for this movie closer to when I had seen the movie, and further away from the holidays, because I really did love this movie, and it is a pretty garbage write-up. This movie is filled with wonderful performances, from subtle and heartbreaking (Sally Hawkins and Richard Jenkins) to gloriously scene-chewy (I expect little else from Michael Shannon). Guillermo del Toro’s confident filmmaking, alongside Dan Laustsen’s cinematography, help make one of the strangest love stories I have ever seen one of my favorites. Also, the fact that this movie is not on the shortlist for Best Makeup at the Oscars is a straight-up joke. I’m kind of surprised that this movie is this far away from #1, to be honest, but the more I looked at the movies that follow it, the more I realized how well that they pull of what they set out to do, and how much I appreciate what they do, the more I realized that this is where Rian Johnson’s movie belongs. Although I personally enjoy the time on Canto Bight, I am willing to admit that those scenes are a bit weaker than the rest of the film, and my favorite new character is the one we spend the least amount of time with, while the two less fleshed out characters spend more time on screen. However, what this movie does right, it does very right. 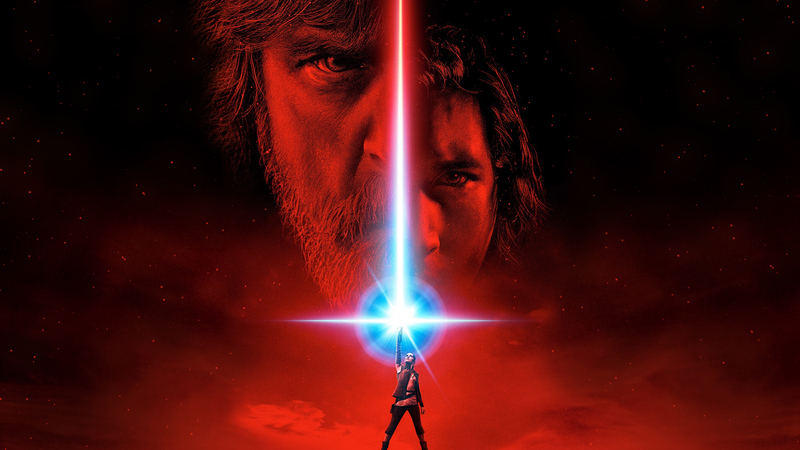 The time that we spend with Luke, Rey and Ren all play into the film’s theme of moving on from the past remarkably well, and, overall, the choice for this film to focus predominantly on a theme that asks you to move on from everything else that had come before it is a risky one, and the film is better for it. Plus, it gives me what might be my all-time favorite Star Wars moment. I love so much about what this movie represents. 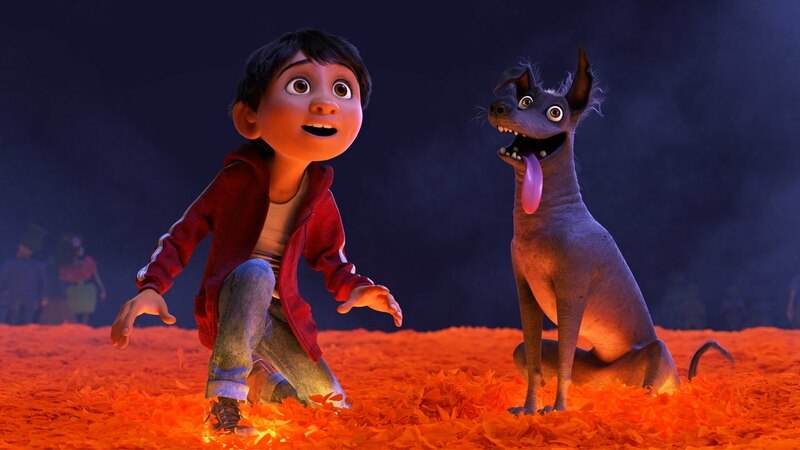 From its absolute gorgeous animation and use of color (which shouldn’t be a surprise in an animated movie, but Pixar keeps finding ways to make this feel noteworthy), to Michael Giacchino’s score and the songs written by Germaine Franco, Adrian Molina, Robert Lopez and Kristen Anderson-Lopez, so much of what this movie does is borderline perfect. Although I have some issue with how the villain-side of this film’s plot is handled (mostly because it is way too similar to the villain arc’s of other Pixar films), the emotions of this film help carry this towards the top of my ranking of Pixar’s movies, and, obviously, towards the top of this year’s list. Weeks removed from the film, I still cry whenever I hear the heartbreaking vocals attached to the film’s final rendition of “Remember Me.” This movie is truly something special. This is one of the darkest summer blockbusters that I have ever seen, but it all felt very earned based on the previous two films in the franchise. But even with the movie earning its bleakness, that doesn’t make the suicide, torture or crucifiction any easier to watch. 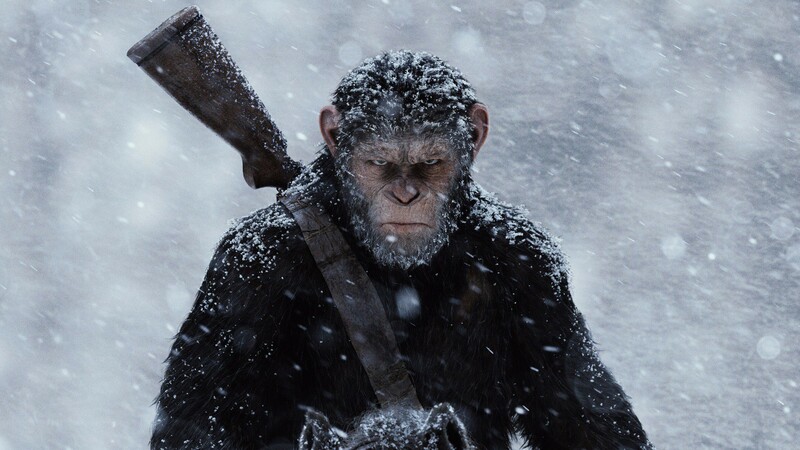 But all of the dark subject matter makes the film’s emotional climax all the more satisfying, especially taking into consideration the amount of growth that we have seen Caesar go through since 2011’s pleasant surprise Rise of the Planet of the Apes. Not only has the character grown, but the already impressive performance capture work by Weta continues to amaze, and I hope that they finally get the visual effects awards love that they have deserved for years. I’d say the same for Andy Serkis’ performance as Caesar, which I genuinely believe is one of the best performances of the entire year (if not the very best), but I just know that the Academy will never understand how performance capture constitutes a true performance. I just hope that someday he will receive some kind of lifetime achievement award, because he has truly earned it for how he has allowed the performance capture technology to earn the attention it deserves. It is genuinely surprising to me that a romantic comedy came this close to being my favorite movie of the year (in fact, about two weeks ago, it was at the top of my list, and then I ended up moving things around to change the order a bit). But this movie is not your typical romantic comedy. First, it is based on the true story of writers Emily V. Gordon and Kumail Nanjiani, which allows it to carry a weight that most films of this genre do not even come close to. Additionally, most romantic comedies do not have one half of the main couple in a medically-induced coma for most of the film. The little time that Nanjiani and Zoe Kazan (Gordon’s stand-in) spend together is handled well-enough, that despite their break-up, we still want them to succeed, even as Emily lays in a coma. Combine that with incredible performances from both Holly Hunter and Ray Ramano as Emily’s parents, and it becomes easier to understand why this movie is so close to being at the top of, not only my list, but the list of many actually respected critics. I still simply do not understand why or how this movie got made, but I am so grateful for it. This film somehow acts as follow-up to one of the most popular science fiction movies of all time, while still standing alone as its own film. 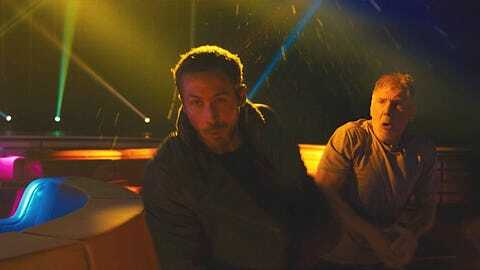 It also gives Ryan Gosling and Harrison Ford some of their most compelling work in a long while, and utilizes a talented, albeit problematic, Jared Leto with impressive skill. It also allows Roger Deakins, one of the most gifted people in the film business right now, to do some of the best cinematography in his career. It’s easy for futuristic dystopias to be bland and colorless, but the shots in this film are never either of those things, and even when the plot of the film slows down at points, it never feels slow, just because of the gorgeous scenery that Deakins is giving us. In a different year, this film would easily have been at the top of my list, but when one of my favorite filmmakers goes out of his comfort zone, and another first time director makes the debut that he does, something this great falls comfortably into third. At least we’ll always have the memory of Harrison Ford punching Ryan Gosling in the face. This was the first movie I reviewed for this blog, and the only movie ahead of it came out even earlier in the year, so a lot of this year had a lot to live up to, quality wise. Despite my issues with the characters in this film, the film’s soundtrack and how that music interacts with the film simply makes it difficult to beat. From the film’s opening moments (which I will embed below) with “Bellbottoms” to the incredibly stressful use of “Intermission,” to the final confrontation set to Queen’s “Brighton Rock,” I don’t know if I have ever seen popular music used like this in a movie, and, because of it, Edgar Wright continues to prove why he belongs towards the top of anyone’s list of best filmmakers. The idea of a Jordan Peele-directed horror film admittedly caught me off guard the first time that I heard about this movie. But after reading in interviews where he talks about how the two different-sounding genres are actually quite similar (especially when it comes to the importance of timing), the idea of it begins to make more sense. Peele balances both well in his directorial debut, especially during a scene as a bunch of old white people fawn over Daniel Kaluuya’s Chris’ body. Add in some unfortunately timely social commentary, wonderfully chilling performances from Bradley Whitford and Catherine Keener, a just all around perfect performance from Kaluuya, striking cinematography and an unforgettable ending, this movie is successful on every level, and I cannot wait to see what else Peele does for the rest of his career. Before you leave, there’s one award I want to give out, followed by a list of all the other movies I saw this year. Thanks for reading everyone! 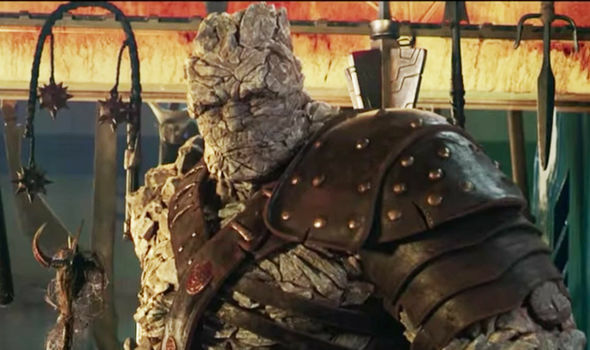 Korg- Thor Ragnarok. His movie might have cracked my Top 15 had I wanted to write blurbs about five other movies, but I can’t not mention Korg. So I’ve created an annual award for him. It’s the only award I’ll probably give out each year, but dude needed some extra love. Thanks, Korg. You’re the best.